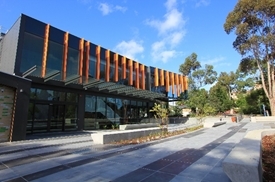 The Magis Performing Arts Centre (MPAC) was officially opened in February 2017. 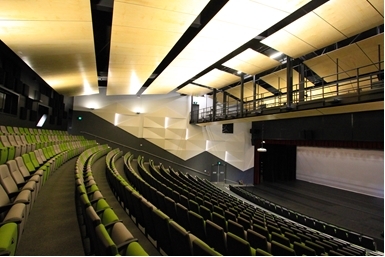 The MPAC features a modern, state of the art theatre ~ Inigo Theatre ~ which is available for hire on weekdays and weekends. With an audience capacity of 500, the theatre is fully equipped with sound and lighting systems as well as an orchestra pit. Additional information (including costs) can be found in the General Information for Hirers document. To hire the venue please complete the Application for Hire form together with the Conditions of Hire Agreement and email to the MPAC Booking Officer. 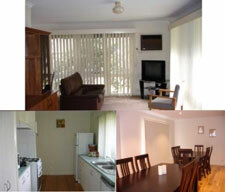 Further enquiries can be made by contacting Monica Baron on (03) 9433 0767. Continental Breakfast provisions available on request at an additional charge of $10 per person. For Bookings please complete the Booking Application Form and email the Community Liaison, who may be contacted on (03) 9433 0228. Please read the Accommodation Conditions of Rental and Rental Guidelines before applying. For hiring of the whole house a rental price will be negotiated upon application. Accommodation in the Cottage is limited to 2 adults. Exception for children will be considered on a case by case basis. A special feature of Loyola is the St. Ignatius Chapel in the former Jesuit Novitiate building, as well as the Chapel of the Irish Martyrs, a small renovated country Church that is ideally located in Loyola’s bush setting. 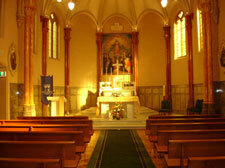 Mass is celebrated regularly throughout the year. The chapels are surrounded by manicured gardens and a fountain, making an ideal setting for wedding photos. 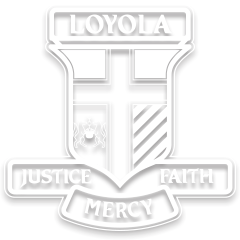 Download the Loyola College Chapel Hire Procedure. A functional stage (with lights) and projector screen is available. A separate Theatrette is also available, suitable for presentations, training and speeches. The costs of hire are detailed in the relevant Booking Application forms. For further details, please contact the College Community Liaison, who may be contacted on (03) 9433 0228. For Bookings please complete the Booking Application form for general use, the Booking Application form for sport use or the Sporting Facilities Application form and email the Community Liaison. 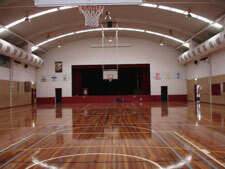 Please read the Loyola Companions Hall Conditions of Hiring – General Use or for Sport Use before applying.